There are a lot of cool things about the new Google Maps update, but a few features from the old app didn't make the jump. 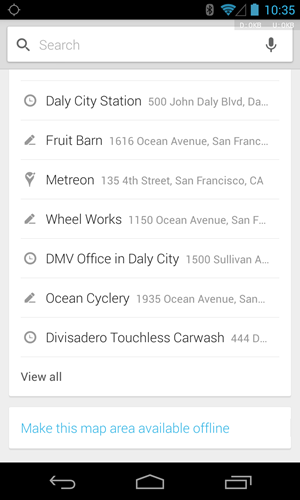 Google made a big deal about offline maps when it was added a few years ago. So it's a little surprising to see this feature missing in Maps v7... or is it? Mountain View has included a bit of an Easter Egg here. If you want to cache an area for offline access, just go to that part in the app, then type "Ok Maps" in the search box. Speaking the phrase with voice input will also work. 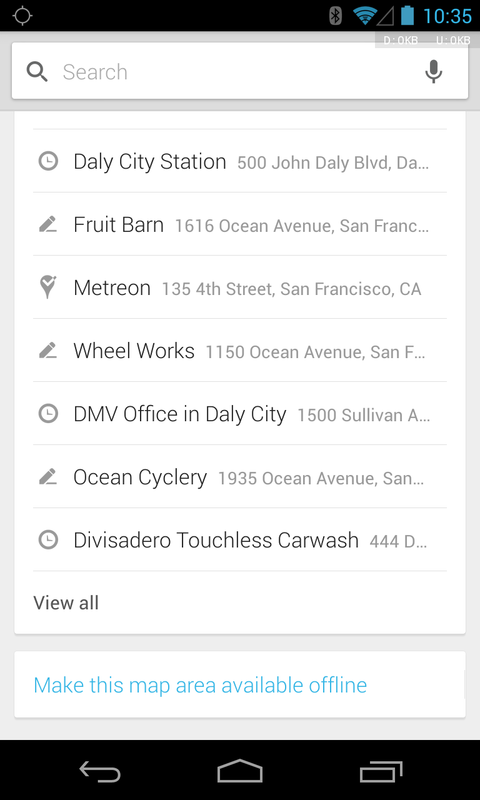 Google Maps will cache the area you're looking at for offline access, but there doesn't seem to be any way to manage your offline maps like there used to be. You might have to clear the app's data to reclaim that space. My Maps is also missing in action as of this update, but it will return later. A future version will bring back support for custom maps. No timing was given, so the desktop is the only place to do that currently.